Real-time marketing has been around for a long time now. Many brands tried to replicate Oreo’s “Dunk in the Dark” tweet by taking advantage of current events and fads to make their products or services appeal to customers. But like any other marketing strategies and trends, the real-time marketing has also evolved over the years. It has become more client-centric and data-driven. Real-time marketing can now make use of all kinds of customer data to help companies understand exactly how they behave. In short, RTM has shifted into RTDM – real-time data marketing. The results have greatly improved as it also shifted to focus on cutting edge architecture and technology to turn raw customer data into actionable insights. In fact, marketers have gained access to proven solutions like TASIL – a complete, pre-integrated and self-sufficient product ready for the market. How it exactly works to help you monetize data and create new revenue streams within 4-5 months? 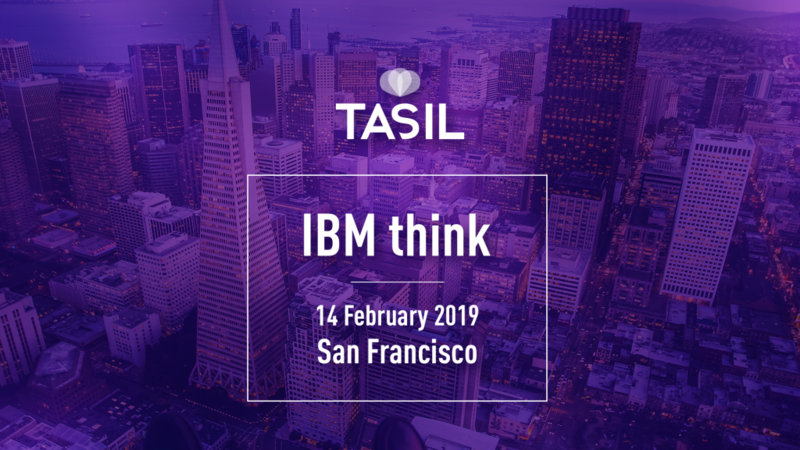 To find out, come and meet TASIL Team at IBM Think 2019 in San Francisco (Feb, 12-15) – one of the biggest IT conferences in the world. Krzysztof Goworek, our Chief Innovation Officer, is going to share some very useful experience, tips and strategies on how to monetize real-time data during the speech on Feb, 14th. If you can’t attend the conference or would like to view the presentation once again, you can watch online on YouTube.